What are the food for hair growth? Lack of exercise and poor eating habits can contribute to hair loss problems. 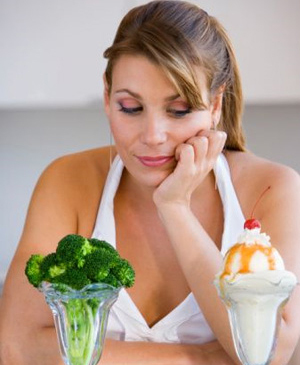 Exclude refined foods from your diet, especially refined sugar and grain, known to contribute to a receding hairline. Fruits, vegetables, proteins, minerals, whole grains, and nuts keep body, mind and hair in a healthy condition. rals help keep hair follicles strong and healthy. Include B complex vitamins, A, E and C in the diet. Include folate-rich foods in the diet. Folate refers to water soluble vitamin B and is essential nourishment for healthy hair. Fresh pineapple in your diet strengthens hair and nails. The vitamin C helps to fight hair loss, by providing nourishment for hair follicles. Pineapples contain bromelain which is an anti-inflammatory and can help prevent scalp infections. Fish oil is believed to be very effective against hair loss as it contains Omega 3 fatty acids that block or stop the conversion of testosterone into DHT. DHT is considered to be one of the primary causes of receding hairlines in women and men. Exercise is critical, not just for overall health, but also for the prevention of hair loss. Exercise improves blood circulation and a supply of oxygen to hair follicles, providing essential nourishment. Use hair styling products that do not contain alcohol. Alcohol causes drying of the scalp, which can lead to a receding hairline. Check the list of ingredients in the hair styling products before purchase. Try not to comb hair backward. Aggressive over combing is a common cause of hair thinning in women. It is good to brush hair or massage the scalp, but a soft brush is preferable. Be kind to your head. 5 minutes a day dedicated to scalp massage improves blood circulation, much like exercise and provides nourishment to hair follicles. Avoid hair pulling, including wearing tightly bound ponytails. Stress is a leading cause of a receding hairline in women. In fact, hair loss is one of the symptoms of severe stress, anxiety, and depression. Learn to meditate, practice yoga or seek ways to reduce stress in your life from professionals. Pillowcases made from satin and silk allow the hair to slide with ease with no friction and this can help reduce hair loss.